Image 3: Here’s the coyote walking back to direction he came from. He stopped and found a groundhog or something to feed on. Image 4: Here’s a close-up before he went back. I didn’t bother following him back because I wanted to finish taking pictures of the sunset. Image 1: My friend and I were taking pictures of the sunset on a cliff when I turned around to find this coyote passing by. He (She?) was aware of us because he glanced at us a few times as he walked by. Image 2: I wanted to get more shots of him so I whistled and sure enough he turned around to look back at us for a few seconds. Then he continued to look on the ground for some food and we continued with our scenery pictures. Image 3: Here’s the coyote walking back to direction he came from. He stopped and found a groundhog or somethingto feed on. 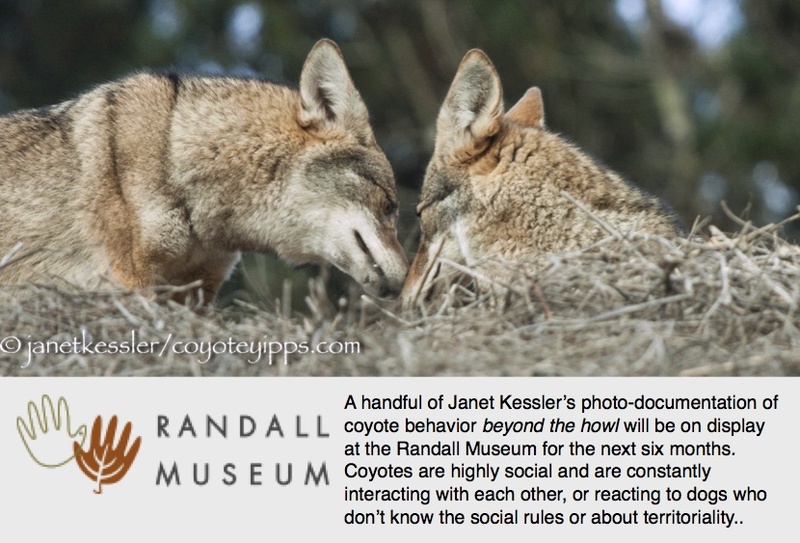 [Dianne wrote this piece after finding the posting by Mark Citret of his coyote sighting at this same location: Coyotes on the Cliff in Daly City, by Mark Citret, April 27, 2012 . Dianne left a comment, and then other readers asked if she would post her photos, so here is her story]. Previous Fatherhood Next Curiosity Causes Its Ears to Curl Forwards! Now that is a beautiful looking coyote.